The loss of Jarryd Hayne has not stopped Gold Coast snatching a miracle 38-36 NRL win over ladder leaders Melbourne at Suncorp Stadium. 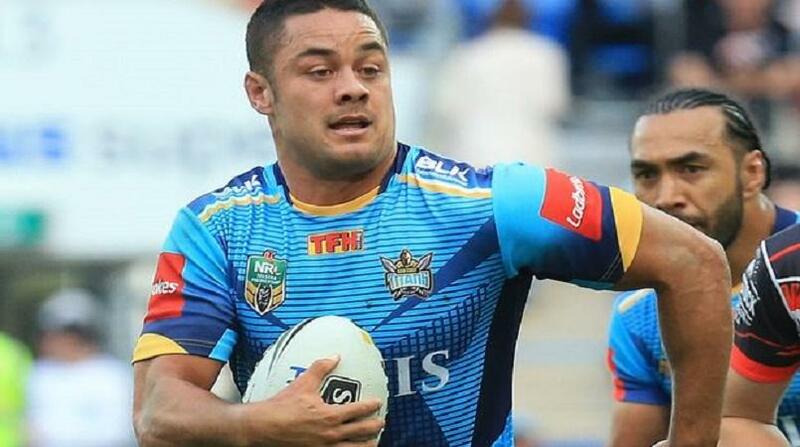 Hayne's NSW State of Origin chances are in some doubt, the Titans' centre breaking down with a knee injury in the 67th minute on Saturday night with the game in the balance. When he was helped off the field, there were fears Hayne had re-aggravated a left-ankle injury that had sidelined him earlier this year for six weeks. But a relieved Hayne emerged from the sheds after fulltime to celebrate centre Konrad Hurrell's 78th-minute match-winning try after being diagnosed with just nerve damage in the knee. Gold Coast's winning chances appeared shot when Hayne left the field as the Storm scored three tries in six minutes to lead 36-28 with 10 minutes left. The Titans were reduced to a one-man bench for the final 10 minutes with lock Ryan Simpkins (knee) - in his 50th NRL game - and winger Dan Sarginson (forearm) also sidelined. But Gold Coast weren't to be denied, capping a stunning comeback when standout winger Anthony Don batted back Kane Elgey's kick for Hurrell to score at the death. It was Gold Coast's third-straight win and marked Melbourne's first loss since 2009 at Suncorp Stadium. Melbourne's 36 points was also the equal highest score for a losing side in NRL history.